His given name is Ermistral Charles. He signs his work Thialy. 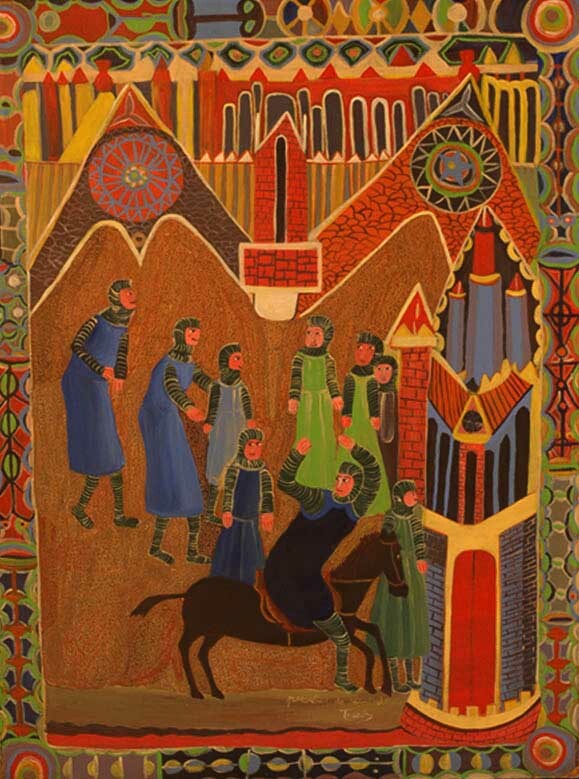 He has been painting since the mid 1970's and his work has been exhibited worldwide. 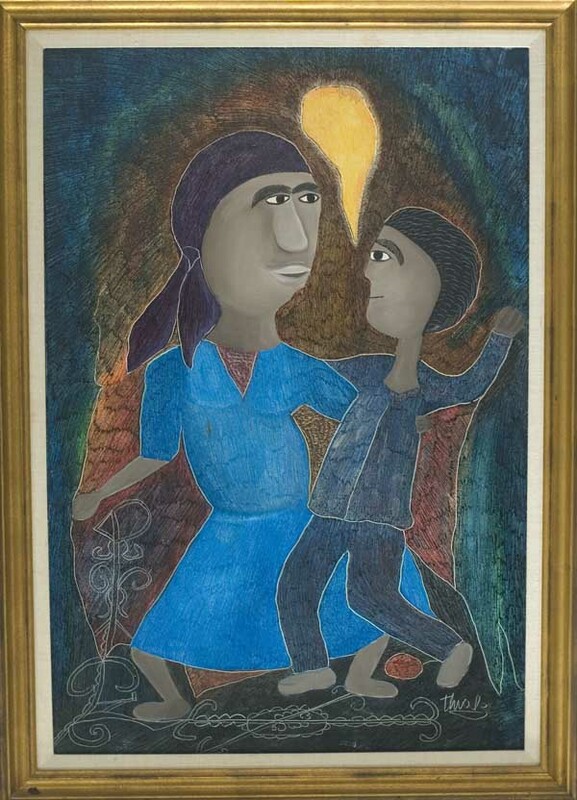 Two of his paintings were in the show, "Haiti: Art Naif, Art Vaudou" at the Grand Palais in Paris in 1988 and are published in the catalog of the same name. "The Arrival of St. Louis"
* This painting was purchased from the elegant Aubelin Jolicoeur at his home in Pacot in 1980.